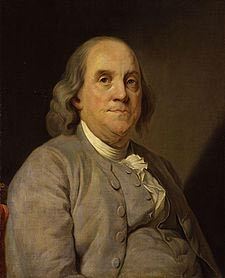 Benjamin Franklin (1706-1790) Author, politician, diplomat, scientist and statesman. Franklin’s family could only afford two years of education, but Franklin became an avid reader and taught himself an eclectic range of subjects. He became a leading proponent of American independence, and also began pioneering scientific experiments. He exemplified the new American ethos of hard-work, thrift, self-reliance and industry. 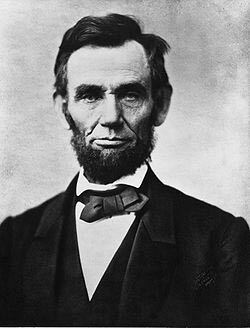 Abraham Lincoln (1809-1865) Born in a one-room cabin, Lincoln worked as a farm labourer, but in his spare time, taught himself to read and eventually trained as a lawyer. Despite many setbacks he became the 16th President of the US from 1861-1865. 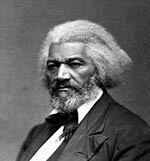 He led the Union forces to victory during the American civil war and passed a bill to abolish legal slavery. 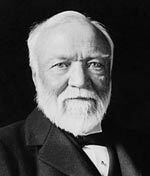 Andrew Carnegie (1835 – 1919) Born in a one-roomed house in Dunfermline, Scotland. Aged 13, the Carnegie’s moved to America with very few possessions. His first job was a ‘Bobbin Boy’ for $1.25 a week. He then worked as a telegraph messenger, where he impressed with intelligence and hardwork. 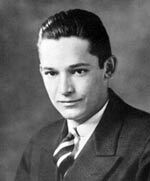 Teaching himself to read, he became well-connected and went to dominate the US steel industry. After selling his steel corporation in 1901, he devoted the rest of his life to philanthropy. Thomas Edison ( 1847 – 1931) Edison left school after three months – bored with rote learning. He preferred to teach himself and read widely to gain a practical education. Starting as a telegraph operator, he rose to become a pioneer of the mass use and distribution of electricity. Edison was one of the most prolific inventors, who developed commercially available electric light bulbs. 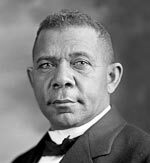 Booker T. Washington (1856 – 1915) Born into slavery, Washington gained emancipation aged nine years old. Teaching himself to read and write, he became a leading member of the African-American community. Overcoming obstacles of racism and segregation, Washington raised funds to set up educational establishments across the deep south. Became adviser to presidents Roosevelt and Taft and the de facto leader of African-Americans until his death in 1915. 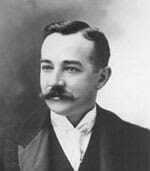 Milton S.Hershey (1857-1945) Hershey was born on a farm in Pennsylvania in 1857. His father started many failed business enterprises and as a result, had an itinerant upbringing. Hershey tried to set up his own candy shops, but failed on three occassions. 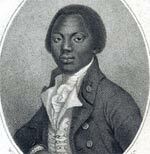 However, aged 28, unemployed and back in his hometown of Pennsylvania, he set up a caramel factory which was successful. This enabled him to invest in a new milk chocolate factory, which revolutionised American confectionary and made him a successful businessman. Srinivasa Ramanujan (1887 – 1920) Self-taught mathematician born in Erode, India. Ramanujan received no formal mathematics training. However, in his spare time working as a clerk for the British Raj, he developed highly original and insightful theorems in number theory, infinite series and continued fractions, which were often proved many years after his death. Ramanujan wrote to Cambridge Professors hoping he could find someone who would be receptive to his new ideas. G. H. Hardy a Cambridge professor was so impressed with the ideas expressed in postal letters; he invited the unknown Ramanujan to England to continue his work at Cambridge. Dr. B.R. 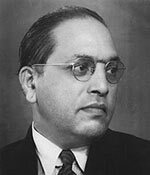 Ambedkar (1891 – 1956) – Born in the Indian ‘untouchable caste’ – Ambedkar should have been doomed to low-paid menial work. However, he became one of the first ‘untouchables’ to receive a proper education and a degree from Bombay University. He became a political activist and social reformer who campaigned for greater equality for ‘untouchable castes’ and women. 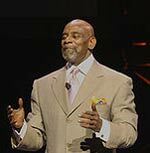 Chris Gardner (1954 – ) Gardner struggled with homelessness while raising his son and working as a trainee stockbroker. 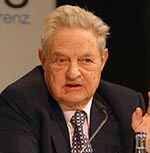 He set up his brokerage firm, later selling it in a multi-million-pound deal. He wrote an autobiography of his story – ‘The Pursuit of Happiness.’ (2006) which was made into a feature film describing his rags to riches story. Pele (1940 – ) (Brazil, footballer) Born in poverty in Brazil, Pele learnt to play on the streets of Sao Paulo – In his childhood, he practised with improvised footballs, such as socks stuffed with newspaper. 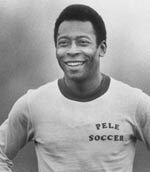 Pele’s talent led to a meteoric rise. As a teenager, he led Brazil to the 1958 World Cup. He went on to win three world cups and become the greatest player of the century. Since retirement, Pele became a global ambassador for sport and is a well-known advocate of overcoming poverty. Muhammad Ali (1942 – ) American Boxer and civil rights campaigner. Ali was born in poverty in Louisville, Kentucky, U.S. Frustrated by racial inequality and social problems, he took to boxing and became the undisputed Heavy Weight Champion of the world. His refusal to fight in Vietnam caused him to be banned from the sport. But, he came back, reclaiming his title and one of the most prominent sportsmen of the Twentieth Century. Richard Branson (1950- ) A high school drop out, Richard Branson founded the Virgin group of more than 400 companies. It all grew out of a small record shop in London. Branson said he became an entrepreneur by chance because he wanted to have some fun and do things better than existing firms. Steve Jobs (1955 -2011) Adopted at an early age, Jobs was a high-school dropout. After travelling around India and studying Zen Buddhism, Jobs became involved in the burgeoning computer industry. Jobs worked for Atari and co-founded Apple Computers – playing a leading role in the personal computer revolution. Jobs oversaw the development of key innovations in the mobile technology revolution such as iPhone, iPod and iPad. Haile Gebreselassie (1973 – ) (Ethiopian athlete) Haile was one of ten children born in rural Ethiopia. He had to run 20km every day to get to school and back. He became one of most successful athletes with two Olympic golds in the 10,000m. Also held the world record for the marathon for three years with a time of 2.03.59. Citation: Pettinger, Tejvan. “Self-Made Men”, Oxford, UK. www.biographyonline.net, 25th July 2018. 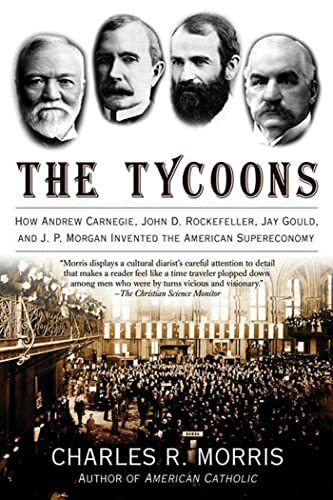 The Tycoons – The Tycoons: How Andrew Carnegie, John D. Rockefeller, Jay Gould, and J. P. Morgan Invented the American Supereconomy at Amazon.